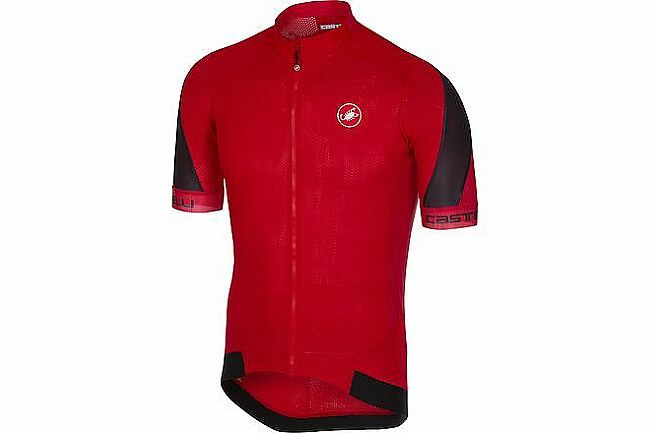 The Men's Volata 2 Jersey takes cues from Castelli's extreme Aero Race jersey but relaxes the fit just a little for a high-performance jersey that can be worn everyday. 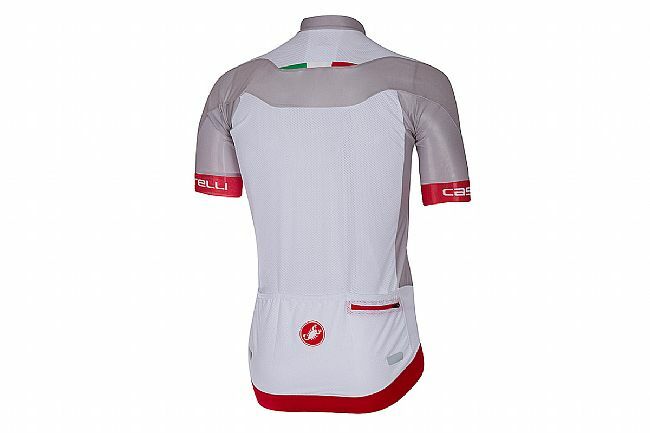 The body is made with lightweight Velocity Dry fabric, and stretch mesh side and shoulder panels make this jersey as breathable as it is fast. Small details like the low-cut collar, the raw-cut edges on the armbands, and a jacquard elastic waistband make big differences in added comfort on the road. 3 rear jersey pockets feature reflective tabs and an additional zippered accessory pocket for a phone or wallet.